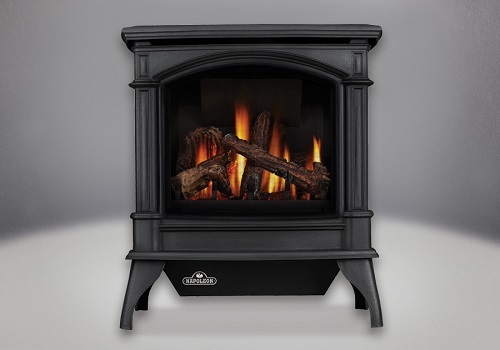 The Napoleon Knightsbridge VF Vent Free Gas Stove is known for its solid performance and impressive heating efficiencies. Now, with its new elegant fine detailing and sleek, more sophisticated outer casting design, the Knightsbridge VF offers more than just great performance. Available in porcelain Majolica brown and painted metallic black finishes. NOTE: Vent Free Products are not approved in Canada and some States. Please check your local codes regarding vent free products.